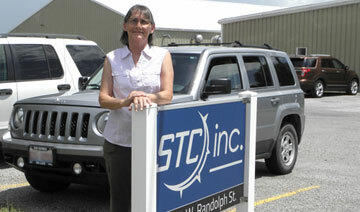 Having started work at STC in June of 1988, Production Supervisor Linda Shaw celebrates 30 years at STC this week. “When I started at STC, I had five kids in grade school. Now I have four grandkids who have graduated from high school,” Shaw said. Linda started work at STC in transformer production, which is where she has spent her entire career in positions of increased responsibility. Prior to coming to STC, she spent about three years working at a shoe factory. 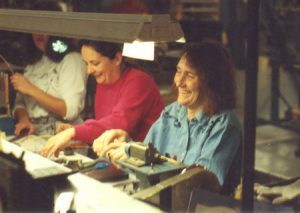 While the type of production work at STC was much different, Linda says there were many other elements that carried over. Linda was mentored early on by the Plant Manager Bob Simpson. During this time, she learned nearly every single aspect to building the many different custom transformers produced at STC. After about six years, Linda became a Team Leader, responsible for training her production group on the various transformer lines being built by the team. Linda was named Production Supervisor two or three years later, a job she’s held ever since. However, despite her experience and leadership roles, Linda didn’t necessarily feel ready for the additional responsibilities. Has production work changed in the past 30 years? Linda’s not the type of person you’d guess has been at STC for 30 years though. She’s quick to smile and laugh, a little feisty, and still very much focused on getting the job done quickly and with quality. Regarding her time at the shoe factory before coming to STC, Linda reflected on the values that have served her and her coworkers well. STC President Brad Cross finds it easy to express his appreciation. Thanks for your hard work and friendship Linda, and best wishes for the next 30 years!